What: Think of a “Home Tour” but with chicken coops instead of million-dollar mansions. Self-guided and bicycle-friendly, too. Where: Tour begins at Agrarian (1051 E. 54th St.) and will lead you through the neighborhoods of Broad Ripple, Meridian-Kessler, Butler-Tarkington and Rocky Ripple. Cost: $5 until 9/14, $10 after 9/15. Tickets can be bought below, at Agrarian (1051 E. 54th St.) or on the day of. No need to bring a receipt with you to the event- we have your name and number of tickets you bought on file. Kids are free. “Kids” are considered as anyone not paying taxes. 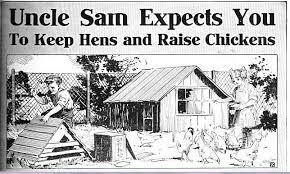 Welcome to Nap Town Chickens, where we believe every backyard, business and school should raise a few chickens!! Our goal is to encourage and educate folks on backyard chicken farming and the benefits and enjoyment that can come of it. Ever thought about raising chickens but don’t know where to start? That’s where we can help! !